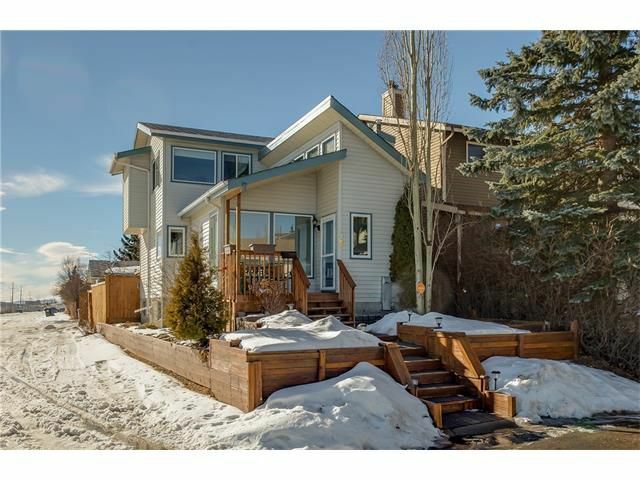 Meticulously maintained & renovated starter home in Strathcona! 3 bed / 2.5 bath property features gleaming hardwood floors throughout main & upper levels, vaulted ceilings in the LR, NEW WINDOWS with custom cellular blinds, modern interior doors & lighting, Central A/C, HE furnace & sparkling CITY VIEWS. The kitchen offers dark ceiling-high cabinets with granite counters, breakfast bar & SS appliance package. The adjacent dining area opens up onto the South deck & includes a built-in buffet & large table area, perfect space for entertaining! Upstairs there are 2 oversized bedrooms with built-in closet organizers & a newly renovated bath. The developed basement is updated with lush carpet, flat ceilings, pot lights, gas FP, bedroom & full bathroom. Mechanical is 2011, Roof approx 2009. Exceptional landscaping in the front & back, double garage (insulated & drywalled) & fenced yard. Surrounded by great schools & walking paths. Quiet & Private location. 10 minutes to DT. Move in Ready! !